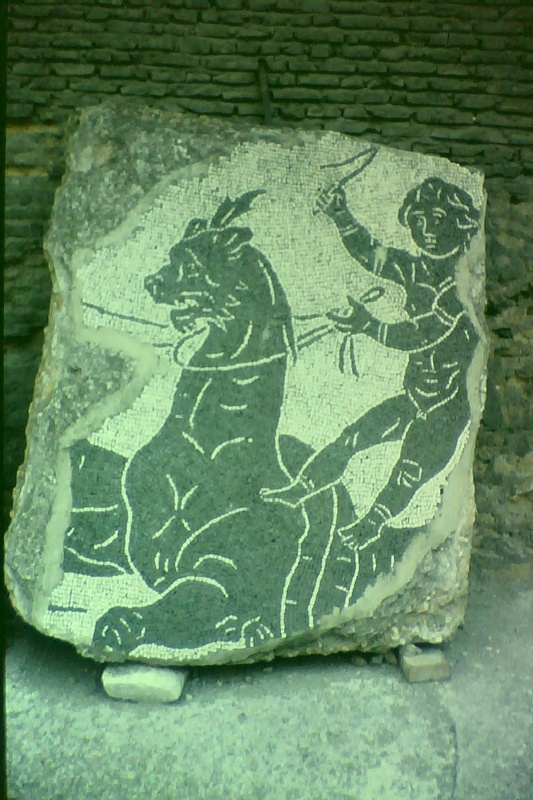 The Severan family dominated the Roman Empire for half a century. 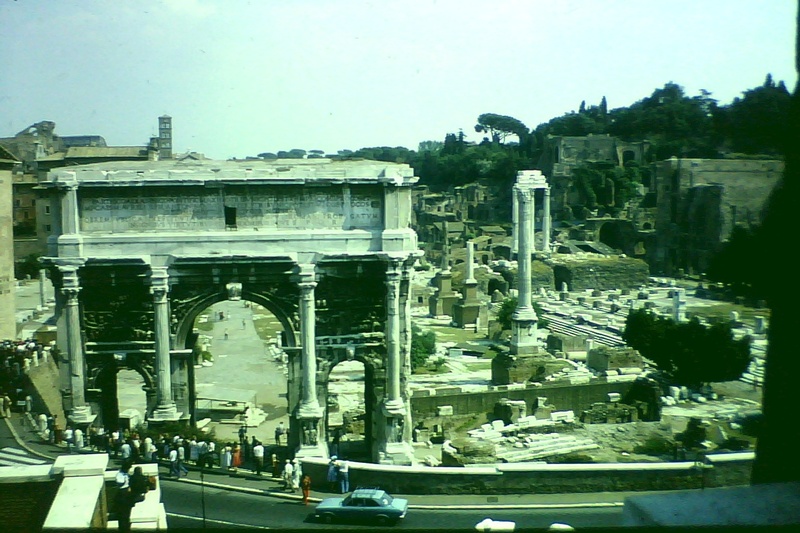 Septimius Severus, a general who was born in Libya, seized the imperial power in a brutal civil war, and reigned from 193 to 211. Here we see Septimius Severus and his wife, Julia Donma, who was from Syria, and below, their son, known by his nickname of Caracalla. When Septimius died at York (and was the only emperor in a period of over 50 years to die of natural causes! 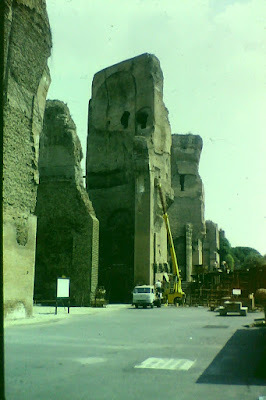 ), Caracalla succeeded him (after disposing of his brother and joint-heir, Geta) and reigned until he was murdered in 217. However, the dynasty continued, though oddly enough it was through the female line. Below we see Julia Donma's sister, Julia Maesa, and Maesa's daughter, Julia Soaemias, who was the mother of the Emperor Elagabalus (a particularly disastrous emperor: reigned 218-22), and also the Emperor Alexander Severus (reigned 222-35), who was the son of Maesa's other daughter, Julia Mamaea. 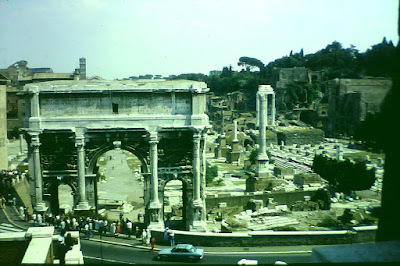 I am still searching for coins of Elagabalus and Julia Mamaea! - and the gigantic Baths of Caracalla; which were actually started by Septimius Severus in 206, officially opened by Caracalla in 216 and further decorated by Alexander Severus. 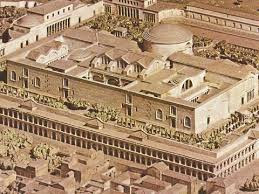 This is a reconstruction of how they might have looked; being part of a model of late Imperial Rome. The baths were in one of the poorer districts in the south-east of Rome, and were clearly meant to cater for the mass of the population who could not afford their own private baths. To enhance the overall appearance, Caracalla built an impressive approach-road: a tree-lined boulevard now known as the Via Nova, which contrasted with the notoriously narrow and twisted alleyways that ran through most of the city. The new baths are supposed to have catered for up to 1,600 bathers, making them by far the largest yet seen in the city, and they featured all the characteristics of a Roman baths, but on a suitably massive scale. 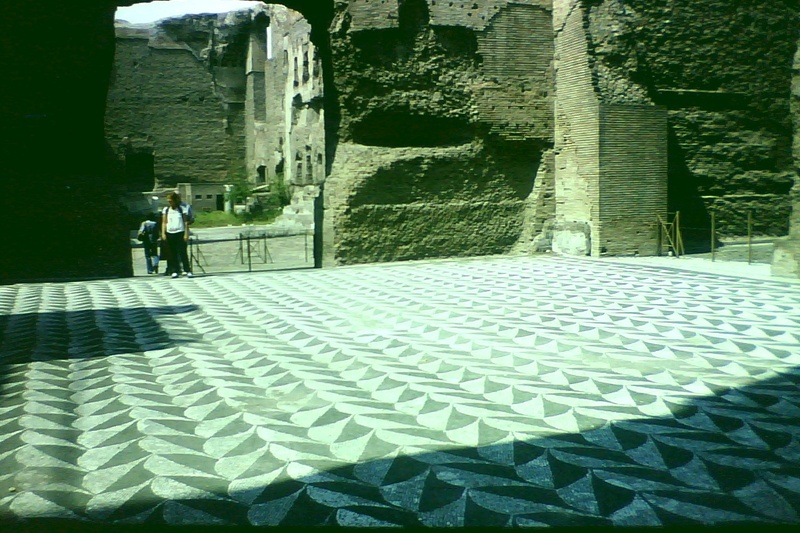 There was underfloor heating by a hypocaust beneath the magnificent mosaic floors, a warm room (tepidarium) a hot steam room (calidarium) and an enormous swimming-pool. Slaves could provide massage, and because the Romans never invented soap, the tradition was to have your skin oiled and then scraped with a bronze sickle-shaped knife called a strigil. The Emperor Augustus had banned mixed bathing, and it is presumed that there would have been times when use of the baths was reserved for women. Outside the baths themselves was an enclosed leisure area, with gardens, fountains, statues, libraries, religious shrines and gymnasiums. 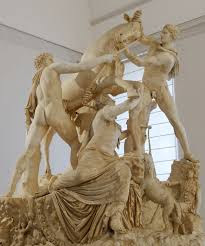 (The Romans had always disliked the Greek fondness for naked or semi-naked athletics, but clearly thought that exercise in the gymnasium was OK!) The overall effect must have been truly magnificent. All we can do nowadays is contemplate the enormous ruins and the surviving mosaics, and imagine them as they once were. 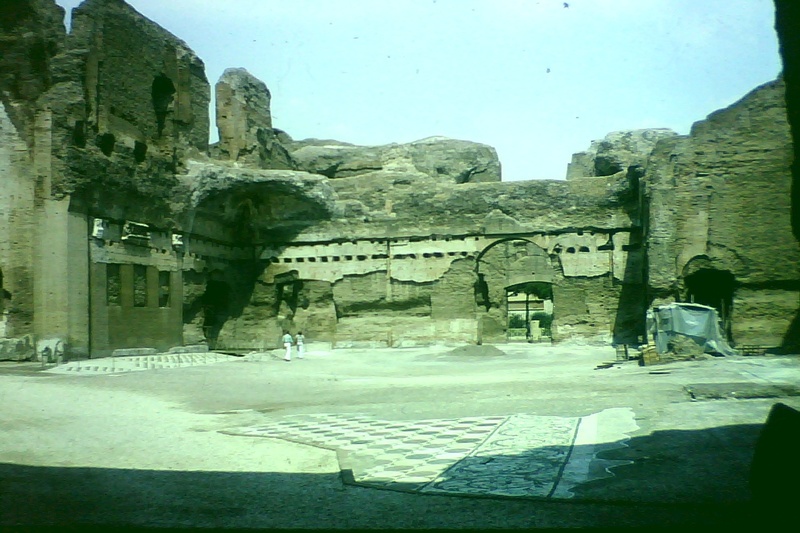 In the 1960 Rome Olympics, the Baths of Caracalla were used to stage the gymnastics events, which seems entirely appropriate.